We have three dogs: one Australian Shepherd and two Great Pyrenees. All of our animals have a job, the pups included. 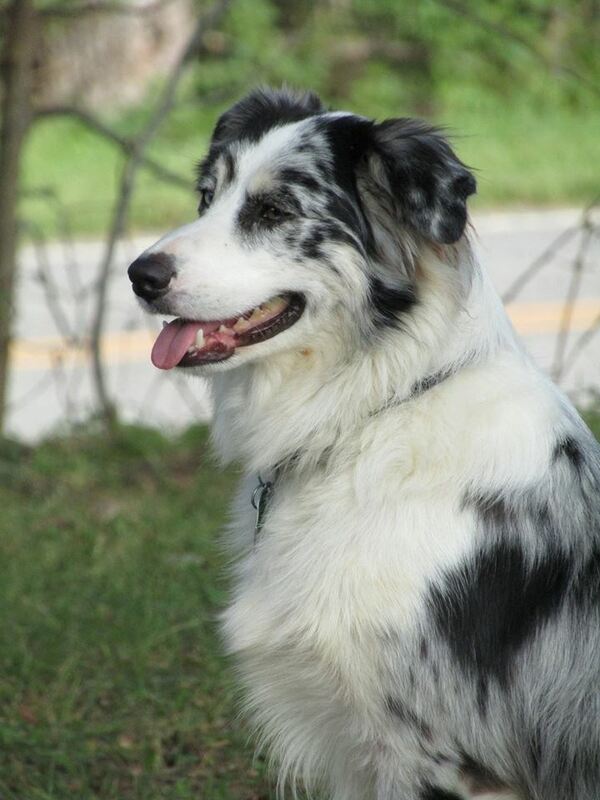 Duke, the Aussie, has the official job of herding goats and the self-appointed unofficial jobs of keeping cats in line and fighting roosters. 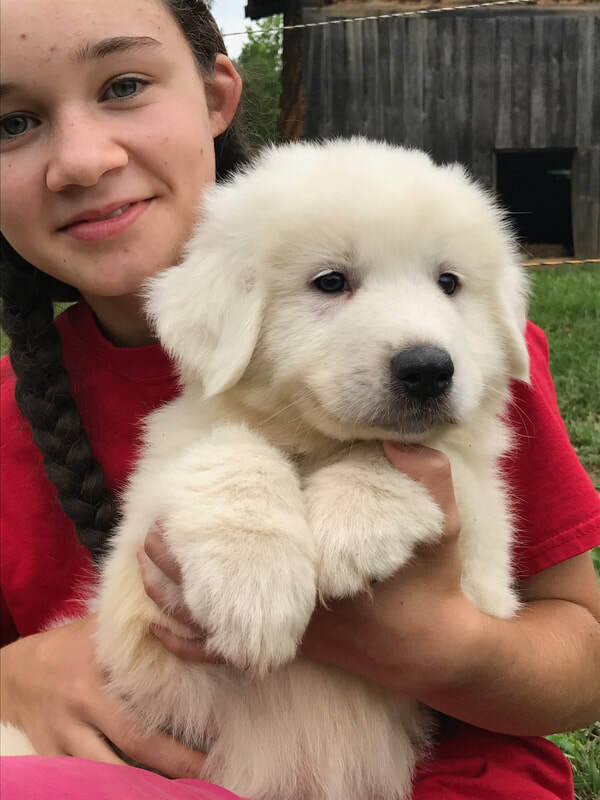 Ferdy and Coggs (or Cerdy and Foggs if you aren't sure which is which, also known as Dirty and Coggs when they are muddy), the Pyr puppies, are currently in training to become livestock guardians: they are the terrorizers of raccoons and other naughty things. We feed our dogs a natural diet of chicken and ground beef mixed with our leftovers and raw goat milk. When we first got Duke we fed the standard kibble but he ate very little of it and became extremely thin and grouchy. He eventually quit eating any kibble at all and was surviving off of the occasional slice of bread the kids gave him, at which point we researched feeding real food and switched him over. 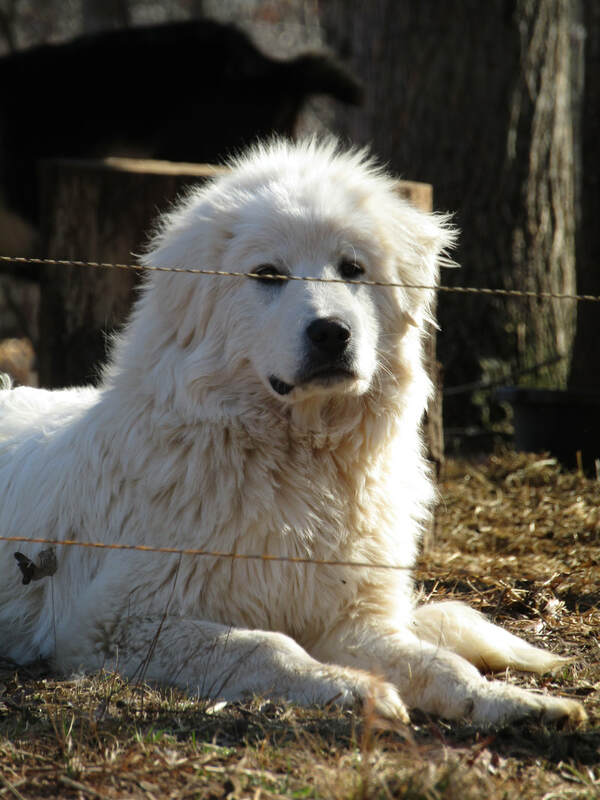 When we added Pyrs to the homestead we put them on the same diet. The dogs love it, they thrive on it, and they are healthy.